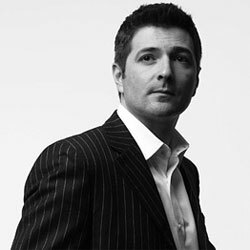 Laurent Le Guernec is a Fine Fragrance Perfumer at IFF in New York. He was born near Paris, France in January 1967, and attended the University of Paris where he studied Chemisty. From there he attended ISIPCA in Versailles, France, and studied perfumery. Laurent worked for the Laboratoire Monique Remy in Grasses, France during his studies. He moved to the US in 1991 to work for Fragrance Resource where he worked closely with perfumer, Pierre Bourdon. One of his mentor in perfumery is Master Perfumer Jean Claude Elena. He has worked for Mane as a perfumer and in 2002 joined IFF New York as a fine fragrance perfumer. Laurent created the Fifi award winning fragrance Michael by Micheal Kors and Bond No. 9 while working for Mane.